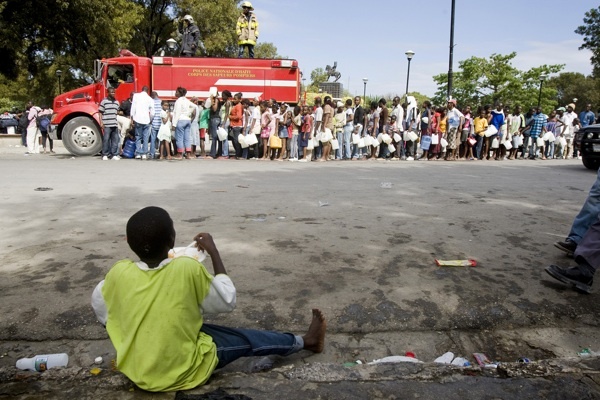 Here’s the latest on Matador’s efforts in responding to the earthquake in Haiti. There are three important updates to share this evening, so let’s just get right to it. 1. All volunteer information submitted to Matador is being reviewed by relief agency partners to match skills to need. We have been collaborating with relief agency partners to match volunteers with service opportunities. All prospective volunteers need to submit their information using this online form. The organizations will review volunteer applications and follow up if your skills match needs for upcoming projects in Haiti. Initial priority will be given to volunteers with medical/nursing skills; proof and verification of all credentials will be required. We are not able to respond to individual inquiries about volunteering at this time due to the volume of volunteers who have expressed interest in offering their time and service. Please note: Volunteer opportunities are not likely to be immediate. The Port-au-Prince airport remains clogged with international military planes and an influx of volunteers is still not feasible at this time. You will be contacted if a volunteer opportunity is identified for you. 2. Matador continues to work with American Airlines and other local organizations and businesses to coordinate donation efforts in New York City. Over the weekend, we will be working with local donation centers approved by the Haitian Consulate to determine how volunteers can assist with sorting and packing items for shipping. Details will be provided as they become available. We’re grateful to American Airlines, the Association for the Social Advancement of People, and Caribbean Cargo & Packaging for their collaboration. 3. Matador members in other cities are coordinating local efforts in their communities. As information is available about these opportunities, we will announce them here. Thank you for your continued support. We are in contact with volunteers on the ground in Port-au-Prince, and will be sharing direct reports as they become available.